Aside from light, photographers are always thinking about how to use form and texture to advantage in their photographs. 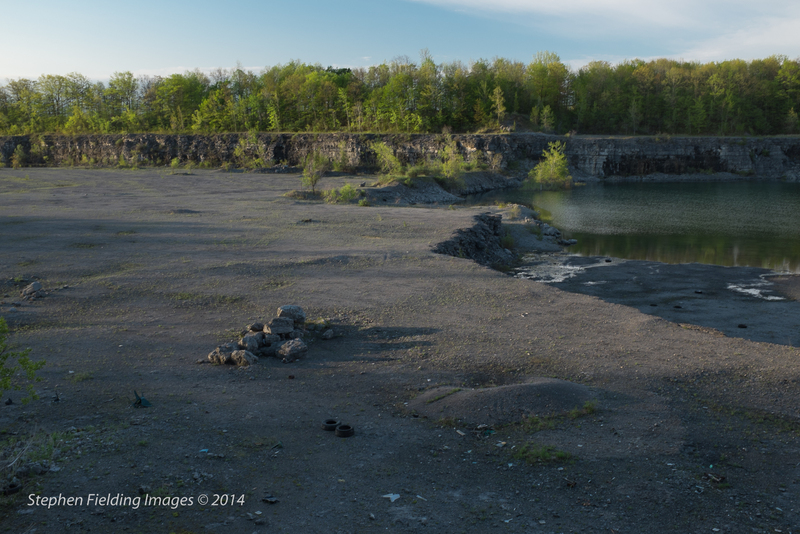 As I pondered this, I got the idea to go and photograph a quarry. 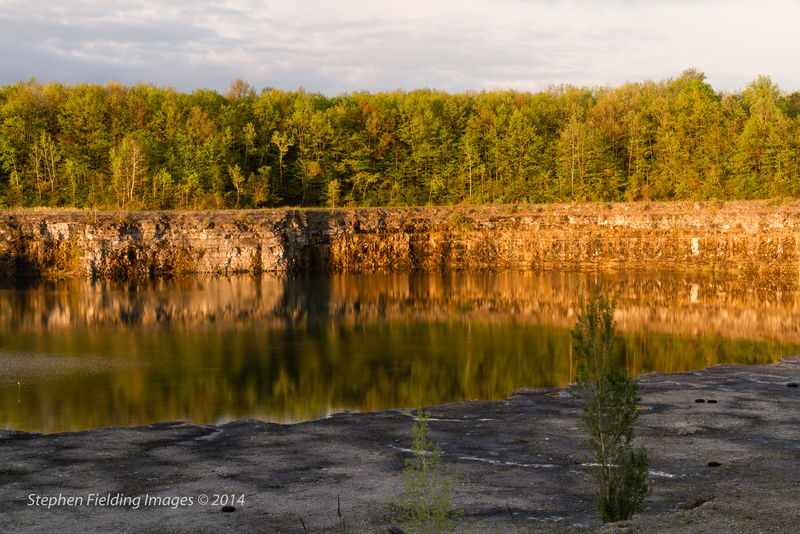 I located an abandoned quarry since most working quarries are fenced off and hidden for a variety of reasons. A few mornings ago I managed to get up at 4 AM so I could be in position to photograph at dawn. You can see my subject in the following photos that I panned starting at ENE and ending at SSW. As with strip mining, there’s not much that can be done with quarries once their resources are exhausted. Unfortunately, one thing you can do is illegally dump trash into them, as shown by the debris in the second photograph. What you can’t see is a refrigerator, chair, and other items that were at the bottom of the ledge where I was standing. 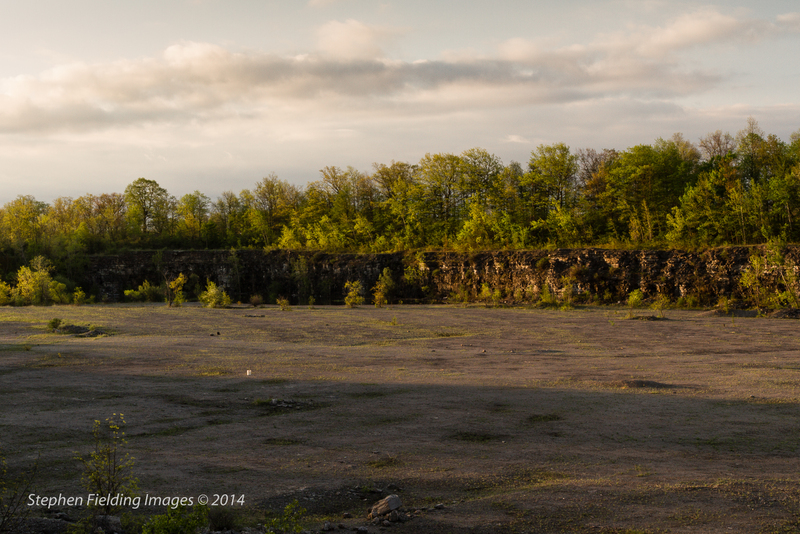 The sun broke completely free of the clouds as it rose for the shot, immediately above, showing that quarries can also provide aesthetic views. Note the stratified layers in the rock, each layer likely taking thousands of years to develop. To better see this I zoomed in for the shot, below, where the blurred water reflections meet the sharply delineated rock and trees above. There was a moon present so I also set a shot showing it. It took some time since the camera was tripod mounted. 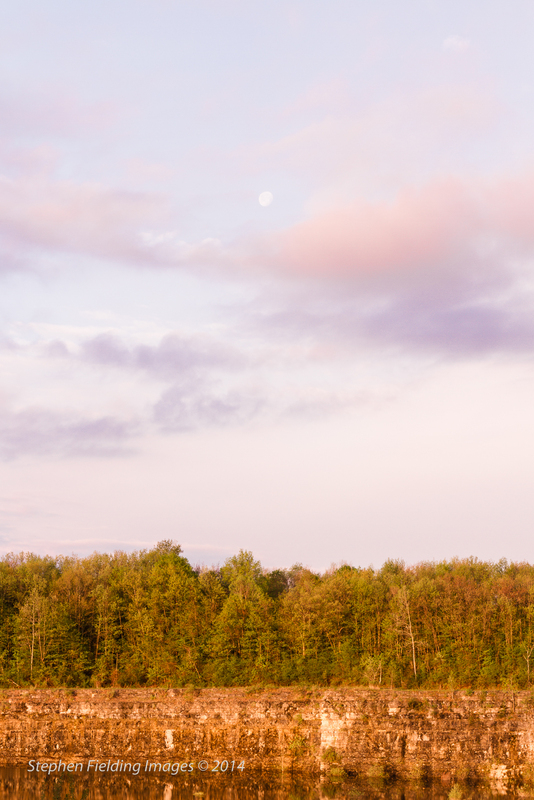 Every time I wanted to make this shot the clouds moved in front of the moon. Finally, I decided to leave the camera set for this shot and just waited. 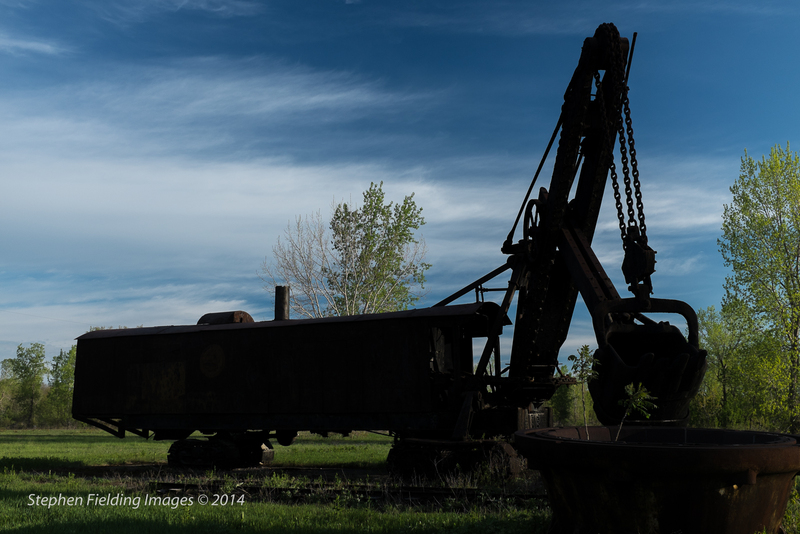 Just a bit further down the road, across from the main entrance of the working quarry I spotted an old steam shovel, seemingly set out for exhibit. This was probably state of the art equipment in the 1930s. 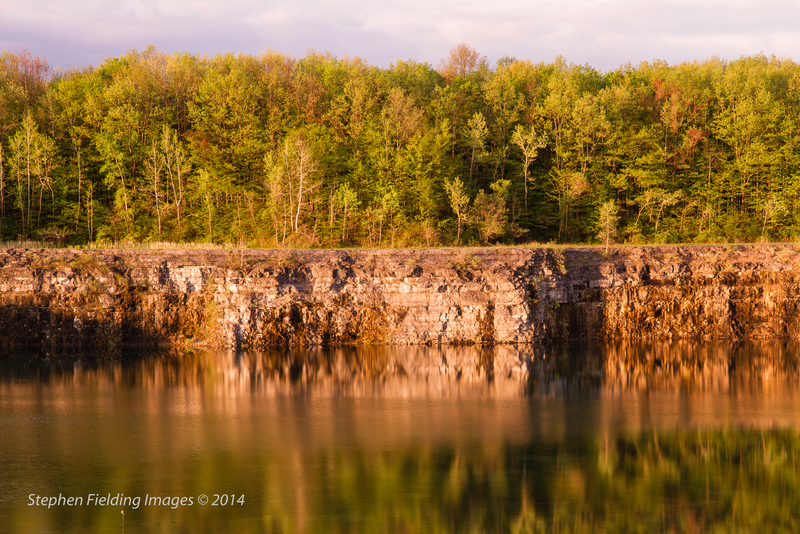 As with so many things in industrial life, quarries pose a conundrum. We want the rock to meet all sorts of construction needs, but quarries permanently scar the earth. As time goes by there will be ever more scars. Thanks, Martha. We’ll see how I fare getting into the Barnes & noble show at pittsford.